A neurobiological disorder that causes its sufferers to make uncontrolled sounds and movements, the symptoms of Tourette syndrome (not Tourette’s) can be so mild that many people who have the condition are not even aware of it. Although some suffer from the well-publicized outbursts and swearing, many with Tourette have less severe tics. These may include vocalizations like grunting, throat clearing, sniffing and snorting, as well as movements like eye blinking, nose scrunching, jaw thrusting, grimacing, shrugging and jerking. Severe cases will include screaming and yelling at odd times, as well as making socially objectionable comments, cursing and using obscene gestures. Most people who have Tourette begin to show symptoms between the ages of 5 and 10 years, but they often decrease during adolescence, and, for many, disappear altogether in adulthood. It has been estimated that Tourette may affect as many as 1 percent of all Americans, although others place the range (at least of children) at somewhere between 0.2% to 0.6% of the population. Boys are anywhere from 3 to 5 times more likely than girls to have the condition. 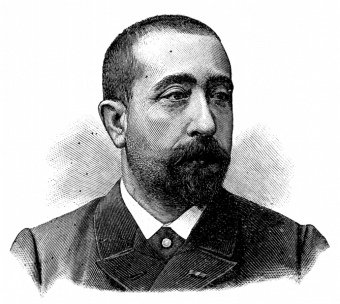 Georges Albert Édouard Brutus Gilles de la Tourette lent his name to the condition in the late 1800s. After he described the compulsive tics and behaviors of nine different people, his mentor, Jean-Martin Charcot, director of the Salpêtrière Hospital in Paris, named it in his honor. Although the precise cause is unknown, there is evidence that abnormalities in the cortex, frontal lobes and basal ganglia, and the neural pathways that connect these regions, are to blame. In addition, family studies have suggested that the disorder is inherited, and that only one parent needs to be a carrier in order to pass on the trait. However, researchers have not ruled out that many other genes and environmental factors may play a role. In fact, some theorize that Tourette may be genetically related to obsessive-compulsive disorder (OCD), but that relationship has yet to be proved. Can anything trigger an attack of symptoms? Tourette sufferers consistently report a variety of foods and other environmental factors that are known to intensify symptoms. Food triggers include artificial sweeteners, food additives, soda, sugar, wheat, yeast, chocolate and eggs. Other common irritants include cleaning products, fatigue, excitement, fumes, flashing lights, noise, mold, stress and television. Are there any effective treatments for Tourette? Some people with Tourette choose to take neuroleptics to help with tic suppression, although these can produce side effects including weight gain, dullness and sedation, as well as other involuntary movements, Parkinson-like symptoms and tremors. Many rely on awareness and use camouflaging movements to hide tics, as well as feedback techniques to help with attentive suppression. Do people with Tourette have additional struggles, besides the symptoms? Distracted and impulsive, people with Tourette can have difficulty concentrating and completing tasks. As a result, they often struggle in school (where minor cases are often misdiagnosed as ADHD), as well as in the workplace. Educators and supervisors have found that people with Tourette can vastly improve performance when their tics are accommodated, and they are allowed to take short breaks when they can release suppressed tics. Other helpful accommodations include increased time to complete tasks, more simplified instructions and following up oral instructions with written copies. Although the symptoms of Tourette syndrome can be troubling, they are not necessarily a roadblock to success. Actor and comedian Dan Aykroyd of The Blues Brothers and Ghostbusters fame overcame both Tourette and Asperger symptoms to build a decades-long film career. Many have also wondered if Mozart had Tourette. Mozart enjoyed socially unacceptable topics (See: Mozart’s Much Less Family Friendly Works), including having an apparent obsession with foul language, and vulgar and scatological (think poop) topics. In fact, over 10% of his letters included a reference to something vulgar and many, even written to ladies, contained extremely obscene words. However, as tics don’t generally transfer to written work, many dismiss this as evidence of Tourette. That said, Mozart was also known to display facial grimacing, repetitive hand and feet movements and sudden jumping. His hyperactivity is well documented, and he was also reported to compose while playing billiards, walking or riding. Even as an adult, he was observed jumping on chairs, leaping over tables, meowing like a cat and turning somersaults in inappropriate situations. Mozart’s movements and behavior: a case of Tourette’s syndrome?